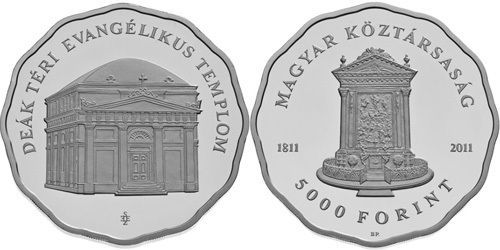 The Magyar Nemzeti Bank (Hungarian National Bank) has issued a silver collector coin ‘The Evangelical Church on Deák Square’ with a face value of HUF 5,000, to commemorate the 200th anniversary of the consecration of the Evangelical Church on Deák Square. 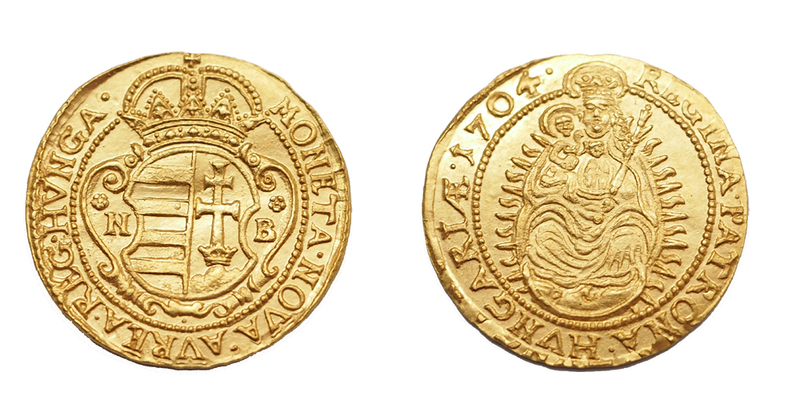 The collector coin has been issued as part of a series of coins presenting Hungary’s ecclesiastical monuments. 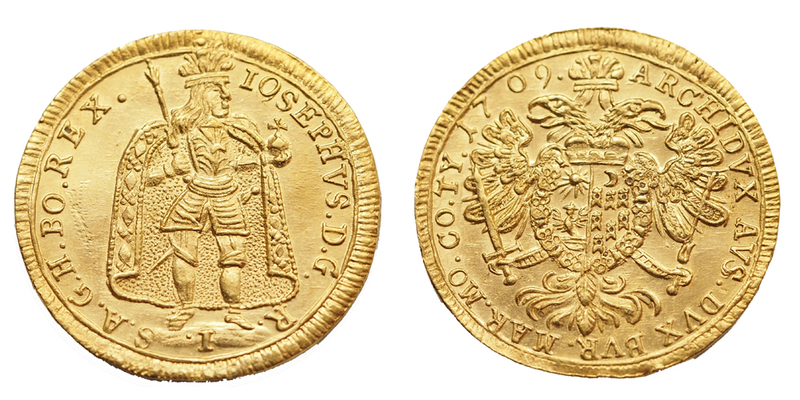 The collector coin was designed by sculptor Emma Sz. Egyed. The centre of the obverse displays the altar of the Evangelical Church on Deák Square. Along the upper edge the coin is inscribed with ‘REPUBLIC OF HUNGARY’, with the value numeral ‘5000’ and the inscription ‘FORINT’ running along the lower edge. 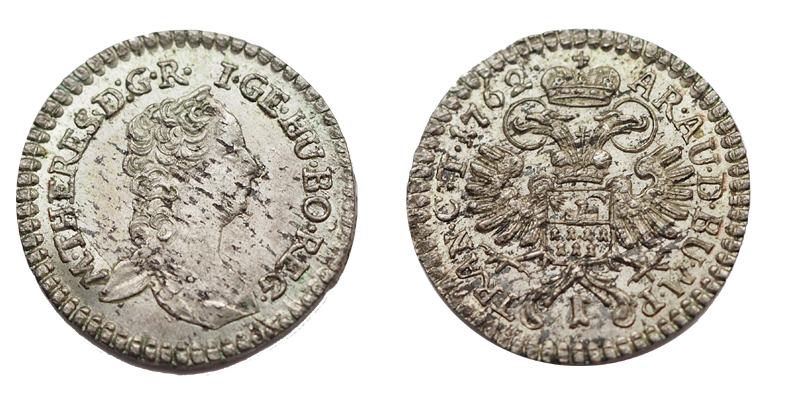 The upper and lower inscriptions are split by the year of consecration ‘1811’, placed horizontally on the left edge of the coin, and by the mint year ‘2011’, also placed horizontally on the right edge. The mint mark ‘BP.’ is positioned below the lower inscription. The centre of the reverse displays a representation of the Evangelical Church on Deák Square. The upper inscription along the upper edge of the coin reads ‘Evangelical Church on Deák Square’. The designer’s initials are positioned below the representation of the Church. The collector coin is struck in .925 fine silver. It weighs 31.46 grams and it is 38.61 mm in diameter, with a petal design appearing around the rim. The coin has an interrupted milled edge. 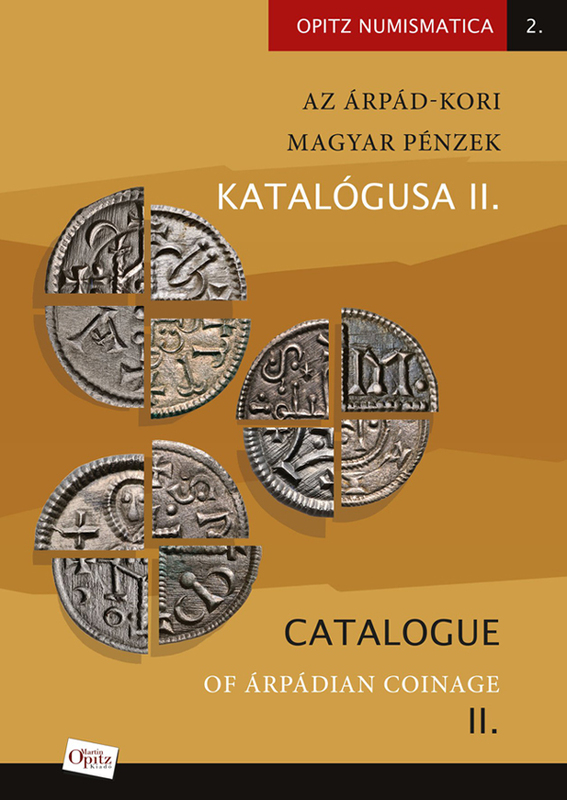 The coins can be purchased at the coin shop of the Hungarian Mint in the Magyar Nemzeti Bank’s Visitor Centre (8–9 Szabadság tér, Budapest) and on the Mint’s website (www.penzvero.hu) from 14 June 2011.